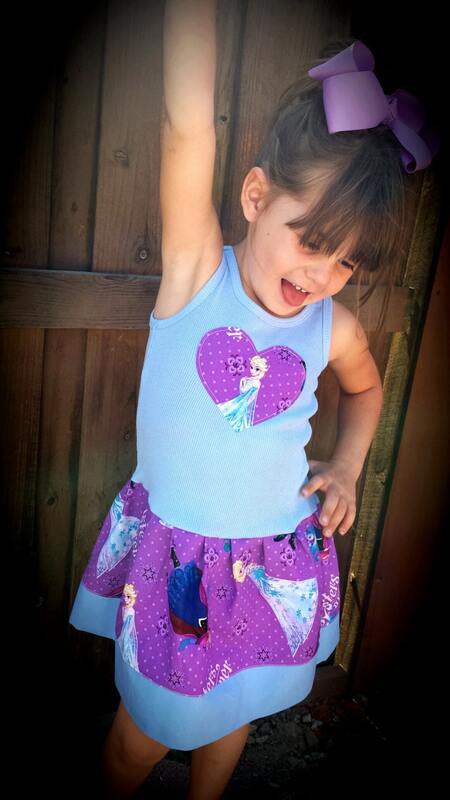 Frozen Dress, Anna Dress, Elsa Dress. Baby Blue. 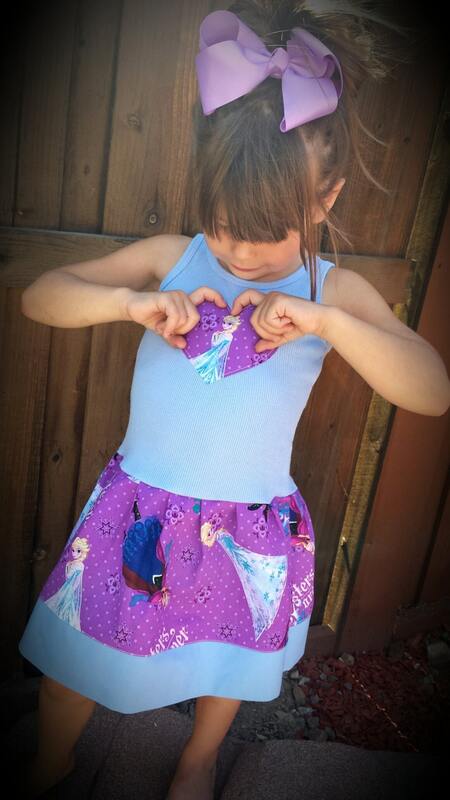 This listing is for my lighter purple Frozen fabric with the full characters instead of just the faces. You will get a dress similar to picture 1. name can be added below the heart for an additional fee. To add check add embroidery at checkout and enter name in notes section. Beautiful dress! Perfect for our upcoming Disney trip! Thank you!! Cute and will be perfect for our Disney trip! 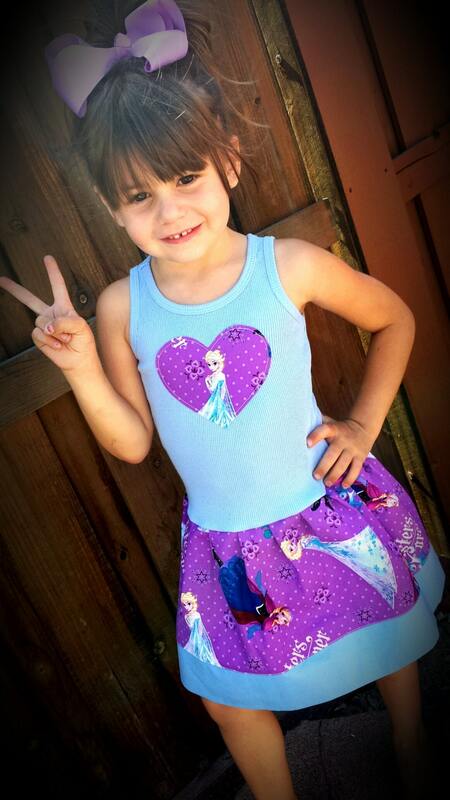 Fun Elsa Dress ... very cute! Just adorable! Colors are simply beautiful.